Was this the referendum on Chinese business in Africa? In a somewhat surprising turn, perennial opposition leader Michael Sata secured victory this week against incumbent president Rupiah Banda in Zambia’s national election. A three-time presidential also-ran, Sata is known as “King Cobra” for his often vituperative statements – which have frequently targeted Chinese business practices in Zambia. Banda, on the other hand, has welcomed foreign investment, awarding numerous infrastructure and mining contracts to Chinese companies. Such development efforts, along with rising copper prices (Zambia is the continent’s largest producer) helped propel the economy to growth rates of roughly 6 percent per year for the last five years. Although Sata toned down his rhetoric during the campaign season, it seems likely that a “King Cobra” administration will be far less welcoming to bankrollers from the east, who last year poured more than $1.2 billion into Zambia’s $16 billion economy. Once one of the world’s largest producers of copper, Zambia tumbled into an economic sinkhole in the 1970s due to falling copper prices, corruption and mismanagement. Decades later, the country is still clawing its way out. Although in recent years Zambia has posted some of the highest economic growth rates in Africa, nearly 60 percent of its people still live in poverty and its UN “Human Development Index” ranks below Haiti’s. Politically, Zambia has enjoyed a high degree of stability since independence in 1964 – even if this has sometimes come at the expense of good governance. Its first president, colonial-era freedom fighter Kenneth Kaunda, ruled for an increasingly dictatorial 27 years, but eventually bowed to civil society pressure and held multi-party elections in 1991. The next president, the disastrously corrupt Frederick Chiluba, nevertheless also proved susceptible to popular will, and in 2001 backed down from an attempt to rewrite the constitution to secure himself a third term. His successor, Levy Mwanawasa, led a series of heartening anti-corruption efforts during his six years in office, slowly luring back wary foreign investors. When Mwanawasa died unexpectedly of a stroke in 2008, then-Vice President Banda assumed the presidency after an emergency election in which he defeated none other than Michael Sata-by a grand total of 35,000 votes. Rupiah Banda, 74, is a career diplomat and politician, who lists work at the U.N. and an ambassadorship to the U.S. on his resume. A former parliamentarian and mining equipment executive, he is a member of the Movement for Multiparty Democracy (MMD) party, which has dominated Zambian politics for the last 20 years. 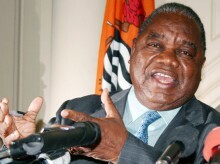 He maintained a relatively low political profile until his appointment as Mwanawasa’s vice president in 2006. (Image credit: Top News IN). Michael Sata, also 74, is the founder of Zambia’s main opposition party, the Patriotic Front (PF). Active in politics since independence, he was a minister in Frederick Chiluba’s government in the 1990s, though even Sata himself acknowledges that he was less a public servant than a party operative during that time. In 2001, disappointed in Chiluba’s nomination of Mwanawasa as the MMD presidential candidate, Sata formed the PF and ran against Mwanawasa. 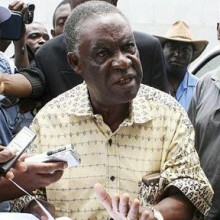 He then stood in the next two presidential races, losing again to Mwanawasa in 2006 and very narrowly to Banda in 2008. The two candidates may have diverged on the question of Asian involvement in the economy, but Sata’s government is not expected to prove radically different from Banda’s. Sata’s campaign rhetoric, at least, has focused on creating jobs and helping Zambia’s many poor access the country’s increasing wealth. He has also promised to reinstate a 25 percent tax on windfall profits in the mining sector, which Banda had eliminated to the delight of investors. As for China, Sata claims he will work with the nation’s businesses in Africa, but his mandate may be widely interpreted as resting on the curtailment of their activities. Ideally, Sata would engage these companies in improving labor practices, building local capacity, and competing transparently for government contracts. But this is a model many African nations in the same situation have struggled to enact. The next few years will show whether Sata in fact manages to pull off such a feat-or whether he has merely replaced corrupt Chinese businessmen with corrupt Zambian businessmen.